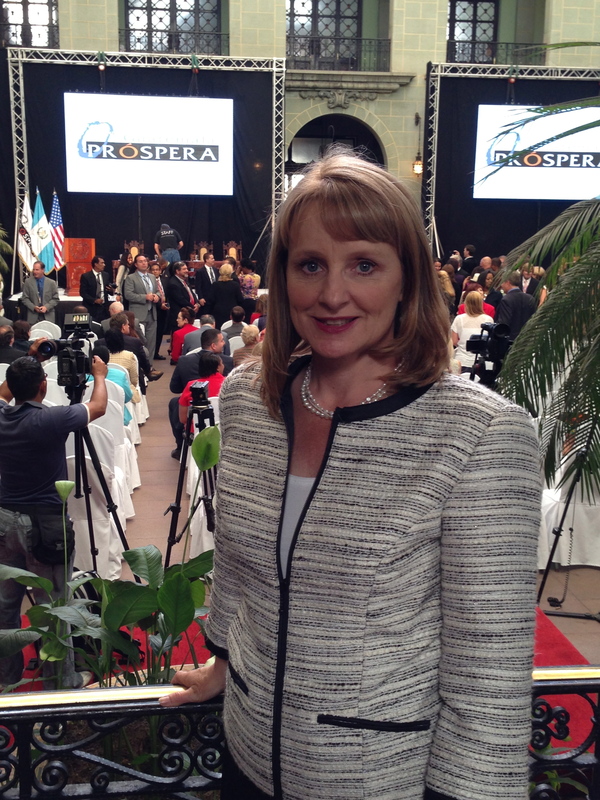 This photo was taken in the courtyard of the Presidential Palace in Guatemala City, as we prepared for a ceremony including John Maxwell, Guatemala Prospera, and the Guatemalan President. Exactly a year ago this week, I was in Guatemala City, one of 150 John C. Maxwell Certified Coaches teaching a Transformational Leadership process to ~19,000 leaders within the seven streams of influence. All of those leaders committed to taking a small group of people through the Transformational Leadership process over the course of 30 weeks. That’s right — 30 weeks! During that time, they would study and apply each of The 15 Invaluable Laws of Growth, as described by John in his book of the same name, as well as 15 Values, as defined by the Guatemalan people based on what they thought would be crucial in changing the culture in their country. Today, those 19,000 leaders have taught and influenced nearly ~200,000 citizens within their country, and the work continues. Make no mistake, that trip changed thousands of lives, not the least of which were the Coaches who traveled to a far-off land to give of themselves to people they’ve never met, and may never see, again. It certainly changed mine, in ways I find it hard to articulate, even today, one year later. I’ve learned, without question, what it means to offer something of significance to someone else; some thing that will change lives in unimaginable, possibly indescribable ways. As I sit in my office today, in West Virginia, I think fondly of my week with such amazing people doing such amazing, life-giving work. I long to be there with them, again. The good news is, I am confident that opportunity will come again, and perhaps even sooner than I imagine. Since our time in Guatemala City last June, the John Maxwell Team has been invited to do the same work in several other countries in Central America. To my fellow coaches, the leaders of the John Maxwell Team, the talented translators who shared their time and language, and the people of Guatemala who welcomed us into their country, offices, churches, and businesses…Thank You. I am blessed by you. I look forward to being with you all, again, soon. If this appeals to you, watch this short video on our trip to Guatemala. And if you long to taste significance and are interested in joining this amazing team, here’s your invitation. I hope you join our tribe! Be sure to tell them I sent you!